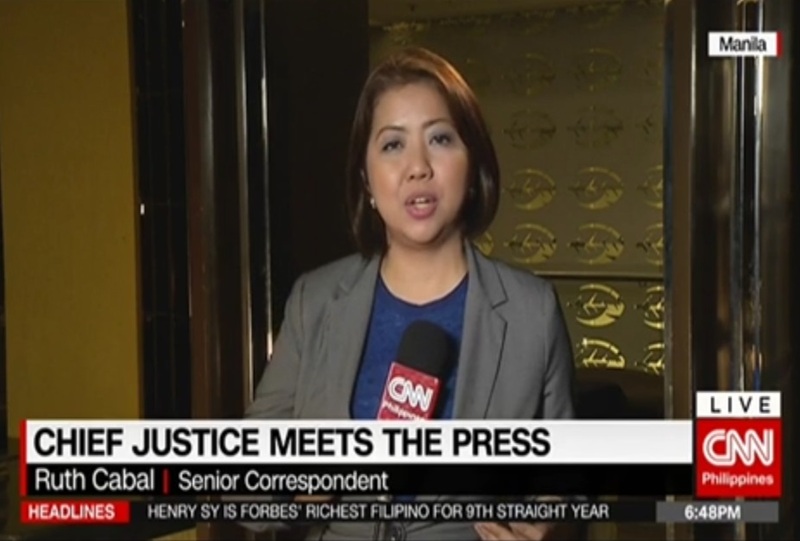 Former GMA-7 correspondent Ruth Cabal made her debut this week on CNN Philippines — a return to network television after a year-long absence following her departure from the Kapuso Network. Cabal, who during that one-year break served as media consultant to former MMDA Chairman Francis Tolentino, has been named senior correspondent for the local CNN station. "Ruth brings a wealth of experience to our talented and hardworking team of reporters and anchors," said EVP and Managing Editor Armie Jarin-Bennett in a statement to Media Newser Philippines. "Her unique background will allow her to report stories that are relevant and significant to our audience." Cabal joins CNN Philippines after her stints at both GMA-7 and ABC5 (now known as TV5). She was among GMA News' most sought-after correspondents, seen regularly on newscasts such as 24 Oras and Saksi.